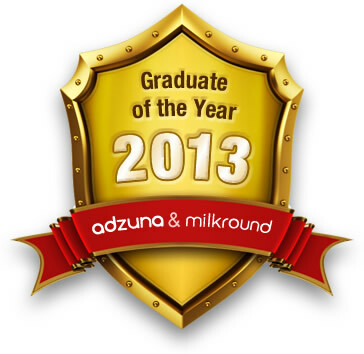 Adzuna & Milkround have teamed up with some of the sharpest business minds and best companies in the UK to select and reward the top graduates of 2013. We’re giving away some amazing prizes including £1,000 cash, work experience at a top UK company, a CV clinic with a famous entrepreneur and much, much more. Posted in Miscellaneous and tagged Adzuna, competition, graduate of the year, Milkround. Bookmark the permalink. Would you like to win a trip to the land of the midnight sun? For the third year npower are running the Future Leaders Challenge. Your challenge is to get together a team of 4 students and identify a project that will get people in your university living more sustainably. You and your team will have to manage this project from start to finish and ensure that it has an enduring impact in your local community. The 10 teams with the best project ideas will be asked to put them into practice as well as attend an interactive, team–building weekend in October before the grand final in December where a panel of judges will select 1 winning team who will win the prize: a fantastic trip to the Arctic to go dog sledding in the land of the midnight sun!! As well as winning this fabulous trip of a lifetime, npower are so confident that you will develop key employability skills from running your project, preparing for the competition, completing the team building weekend and actually going on the trip that they will guarantee to offer a summer placement for each member of the winning team. Posted in Miscellaneous and tagged competition, Future Leaders. Bookmark the permalink. Competition: Fancy a weekend as a marketing assistant at an Ibiza super club? World-renowned super club Amnesia has been at the forefront of the Ibiza club scene since it first opened in the 1970s. Amnesia’s Marketing Manager Valentino needs an Assistant for the weekend of 3rd – 4th September 2011. The Assistant’s duties will include assisting Valentino with sponsor liaison, social media, customer engagement. You will also be helping with talent meet and greets, ensuring rehearsals run on time and liaising with the set, lighting and sound teams! 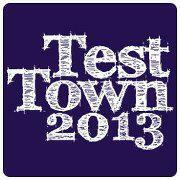 Open to entrants aged 18-24 years old. The closing date for all entries is Friday 19 August 2011. You must be available to travel and redeem your prize between Thursday 1 September and Tuesday 6 September 2011. Posted in Miscellaneous and tagged competition, marketing, work experience. Bookmark the permalink.